Studies show that 1 out of every 4 Americans are afraid to smile because of their teeth, and 1 out of every 5 are anxious about the condition of their mouth. Our mouth plays such an important role in our lives, so the anxiety is understandable. However, we all deserve to be confident with our appearances and this includes our smile. There are so many products around the internet that seem to offer a quick fix. Maybe it’s a toothpaste that has a special formula to remove cavities and whiten your teeth. Perhaps it’s a small kit with big promises of whitening your teeth under just ten minutes. Regardless of the truth behind these claims, I believe that the only way to get long-term results for both a healthy and beautiful smile is in targeting the tools you use on a regular basis. Day in and day out, toothbrushes are our companions in helping us become more presentable, approachable, and confident. If we want to see a change in our oral hygiene, we need to start with changing our toothbrushes. I understand the struggle of making this change and to help with making this big decision, I’ve scoured thousands of reviews on several different products to compile this guide to the best Sonicare toothbrushes you’ll need for the lifestyle change you’ve always wanted. It’s filled with Sonicare toothbrush reviews, important features you can find on their toothbrushes, and how to use as well as maintain an electric toothbrush. This is where your journey to a better smile begins! The Sonicare’s Diamond Clean Smart Series currently tops their list of premium electric toothbrushes. You can be sure to get a thorough clean with this toothbrush because it can power up to give 31,000 brush strokes per minute. This happens in controlled and sweeping movements so that fluid can wash out the tight spaces between teeth and throughout your gum line. As a result, you will always have a clean and healthier mouth. The Diamond Clean comes built with some handy features to help you keep track of your oral health. First, this toothbrush will arrive at your door with three different brush heads. There’s one for Premium Plaque Control, which specializes in removing plaque from areas that are difficult to reach. The next is for Premium Gum Care, which I highly recommend for people with sensitive gums. This one is designed to reduce gum inflammation and make your gums healthier in just two weeks. The last one, called Premium White, works to intensively remove stains in as little as three days when paired with a leading whitening toothpaste. All you need to do is turn it on and the brush can automatically recognize the brush head you have on. It will set the right mode and intensity to ensure that you always get a good brushing experience with less hassle on your part. In addition to the different brush heads, the electric toothbrush comes with several tech features that make brushing a pleasant experience. Connect to the Philips Sonicare App to maximize your Diamond Clean’s capabilities. It has smart location sensors that pinpoint areas that you’ve already brushed as well as areas that you’ve missed. 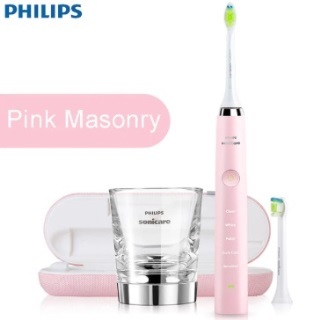 It also has a pressure sensor that will trigger a flashing light if you’re brushing too hard. Lastly, in case you start scrubbing out of habit, there’s a scrubbing sensor to remind you to just relax and let the electric brush do the work for you. I found it a bit difficult to set up the app at first, but I got the hang of it eventually. It’s a small drawback for a toothbrush that’s practically a dental hygiene coach and companion. The Protective Clean 5100 is the ideal toothbrush for anyone who needs to be extra sensitive when it comes to dental care and oral hygiene. I highly recommend this toothbrush for anybody with braces, veneers, fillings, crowns, and other enhancements. It is designed to give an efficient cleaning over any cosmetic dentistry enhancements. This Sonicare toothbrush comes with just one brush head. 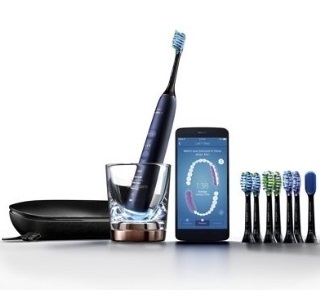 To make up for it, however, you can customize your toothbrush with three modes. There’s the Cleaning mode, which concentrates on thoroughly removing any debris stuck between your teeth as well as any harmful bacteria; the White mode, which removes surface stains; and the Gum Care mode which adds a minute of brushing but at a lower power, so you have time to give your gums a gentle massage. The Protective Clean 5100 has a bunch of alarms that are helpful in their own ways. In case you accidentally start to put too much pressure while brushing, the toothbrush has an alarm to remind you to take it easy. If you need to replace your brush head, the BrushSynch technology tracks the amount of time you’ve used your brush for and how hard you’ve been brushing in addition to indicating when you should replace it. Lastly, it has a QuadPacer to keep you updated on whether you’ve been spending enough time cleaning all the parts of your mouth, and a Smartimer that signals when you’ve brushed for two minutes. If you take a look at the brush head, you’ll notice that its bristles are densely packed and that it has a uniquely curved power tip. I found these small designs had a big impact in removing plaque near my gums and in effortlessly reaching teeth all the way at the back of my mouth, which I really appreciated. To top it all off, the Protective Clean 5100 comes with a travel case and charger, and I like how easy it is to just pick it up and bring it with me wherever I go. It’s definitely a good option for frequent travelers. In my experience, this toothbrush has a bit of a steep learning curve and it can get noisy. However, if you’re willing to see it through and buzzing doesn’t bother you, then you’ll be able to see for yourself that this toothbrush is one of the best products you can get, especially if you have sensitive teeth or if you travel frequently. The FlexCare+ is the toothbrush to go for if you need premium gum care. Its featured Gum Care mode gives you two minutes of all-around cleaning, followed by one minute of gentle cleaning in problem areas and the gumline. I found the last minute very helpful for giving my gums a light massage and making sure that I didn’t miss anything in the gumline. One look at the brush head, which they’ve called ProResults Gum Health, shows how they’ve specially designed its bristles to clean your teeth along the gumline while having the capacity to reach into the difficult areas. Once you switch to using this from a manual toothbrush, there’s no going back—the results of the FlexCare+ against a normal toothbrush are very different. The FlexCare+ comes with five brushing modes. Clean is for everyday brushing, Refresh is for touch-ups, Sensitive is for gentle cleaning, Massage is for stimulating your gums, and of course, the Gum Care mode provides the three-minute package for optimum oral care for both teeth and gums. I like the build of this toothbrush because it’s very sleek. When it’s turned on, it has a backlight that shows you the mode you’re using. 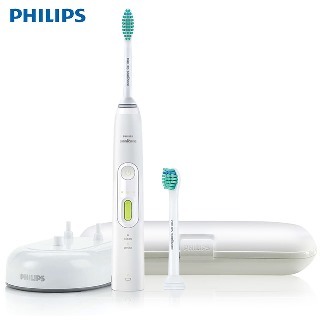 When it’s turned off, the display seamlessly blends in with the rest of the toothbrush for a simple and clean look. One of the features I really appreciated in this toothbrush was its long-lasting battery life. It can last for up to three weeks in between charges, which means that taking it with you on your travels won’t be a big hassle. This toothbrush already comes with a brush head storage and travel case as part of the package, so it’s definitely got the equipment to go places with you. Be careful with handling this toothbrush because it doesn’t fend well for itself with moisture. It’s possible that moisture can seep in and cause the device to malfunction. The Protective Clean 6100 works intensively to prevent stains and fight bacteria. Its bristles have been specially designed with compressed bristles, especially at the center, to power through stains and whiten teeth. In my experience, I found that it managed to whiten my teeth in just one week. What I like about this electric toothbrush was how you could switch not just between different modes, but between different intensities as well. It comes with three modes. There’s a Clean mode for everyday cleaning; White mode for surface stains; and Gum Care mode for additional time spent on reduced-power brushing so you can go over your gum line with ease. Once you’ve chosen what mode you want to set the electric toothbrush to, you can then choose between Low, Medium, and High intensity to either boost your cleaning power or tone it down for sensitive teeth. I also appreciate how it has a BrushSync replacement reminder and mode-pairing technology. The replacement reminder keeps track of the amount of time you’ve been using your brush for as well as how hard you’ve been using it. This way, it can sense when you need to replace the brush head and indicate it with a flashing light. The mode-pairing technology matches the brush head you have on to the best mode and intensity for it. This Sonicare electric toothbrush can go with you on your travels because it comes with a travel case and compact charger of its own. You have at least two weeks of regular use after a full charge. Lastly, the Protective Clean 6100 comes with two helpful timers, the QuadPacer that makes sure you dedicate the right amount of time to clean all the parts of your mouth, and the Smartimer which makes sure you’ve brushed for at least two minutes. One small challenge with using this product was how it did not have a rubberized grip, so holding on to it was difficult. In my opinion, the Diamond Clean Sonic is the most attractive toothbrushes on this list. It’s outfitted in minimalist design and pastel colors, and comes with a charging glass stand that doubles as a glass you can use for rinsing off. The Diamond Clean Sonic has five cleaning modes. There’s Clean, White, Polish, Gum Care, and Sensitive. You’ll know which mode you’re currently using because it has a display on the body that shows the selected mode. It then blends into the background when the electric toothbrush is turned off. 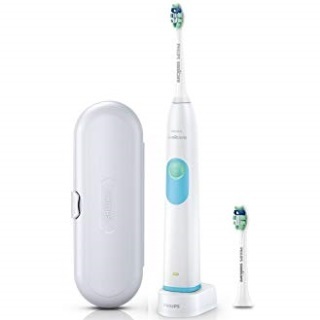 Like the other electric toothbrushes I mentioned before this, the Diamond Clean Sonic also comes with a Quadpacer and a Smartimer to help you pace your brushing. This helps you make sure that you are on top of your oral hygiene. The Clean mode, in particular, is the everyday brushing mode that runs for two minutes as per the recommendation of dentists around the world. Throughout these two minutes, the Quadpacer beeps every thirty seconds to make sure that you know exactly when to switch from one part of your mouth to another. One disadvantage to the Diamond Clean Sonic was how strong its vibrations were. It made holding while brushing teeth difficult, especially because it didn’t have a reliable rubber grip. If you’re thinking of shelling out for this line, then you may want to consider buying a rubberized handle as well. This helps you keep a strong grip while brushing. I found that traveling with the Diamond Clean Sonic was easy because it can be charged in multiple ways. There’s the dual purpose charging glass and a charging travel case. If you don’t have the glass with you, you can just plug it into your laptop or the wall socket. It fills up pretty quickly and can go for around three weeks after a full charge. I appreciate how Sonicare doesn’t just have a premium set of electric toothbrushes to offer. They also have a line of products that cost less for those on a budget, and this is where the Essence Sonic comes in. At an affordable price, this electric toothbrush comes with all the basic features that its pricer counterparts have to offer. 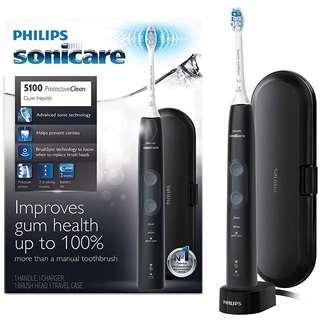 It’s equipped with Sonic Technology, which works to clean teeth with over 31,000 strokes per minute. If you look closely at the bristles, you’ll notice that they’re shaped a special way so that when it works, the sweeping motions help direct fluid in the tight spaces between the teeth and gum line. Even with this superior cleaning power, it’s still gentle enough to be used if you have any dental enhancements or sensitive teeth. Beyond the brush head, the Essence Sonic comes with an angled neck to provide the most reach for the bristles. It also has a soft grip that really helped with holding and maneuvering while brushing. I would recommend this product for people who want to own an electric toothbrush, but don’t need any extra bells and whistles to go with it. It’s a good option for beginners and minimalists. If you want cleaner teeth but need a toothbrush that’s sensitive enough to do the job, then the Protective Clean 4100 is the product for you. 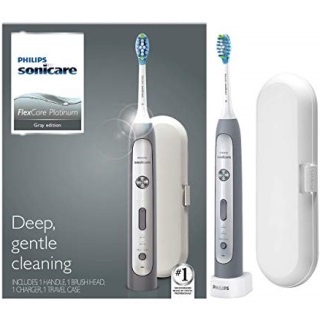 This mid-range electric toothbrush knows how to strike a balance between a thorough clean with gentle sweeping motions. It has a pressure sensor that lights up when it detects you pressing it too hard, which I appreciated because it prevented me from accidentally hurting my gums. It also has a BrushSync which tracks the length of time you’ve had your brush head in use, as well as the intensity of your brushing. When it’s time to get a replacement, it lights-up on the handle to say so. I recommend this electric toothbrush for beginners because it has an easy-start program that will help ease them into the motions. You can choose to go for a slow but steady increase in brushing power for the first fourteen times you’re using it. This way, you have time to learn to maneuver it and to get your teeth and gums used to the brushing sensation. This model has a lot of features at a good price, but some people may be discouraged by the noise it makes when it’s turned on. True to its name, the Flex Care Platinum really does flex. It’s one of the premium electric toothbrushes that Sonicare has to offer, and comes with all of the brand’s latest technologies. If you’ve got the money to spare, then I recommend going for this model. 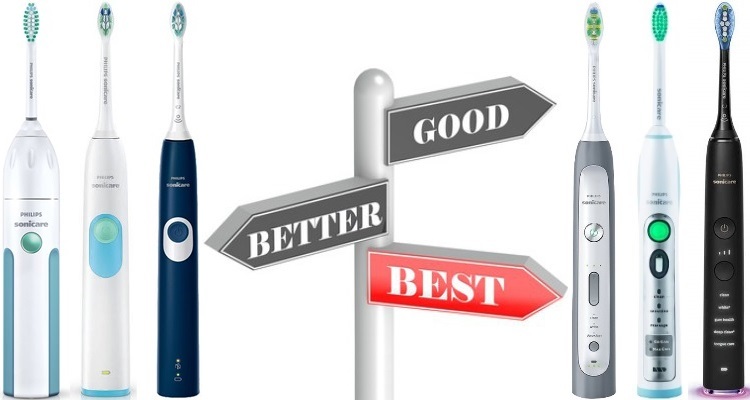 In the other Sonicare electric toothbrushes that were discussed, some offered mode and intensity, but let the brush head optimize it for them. The Flex Care Platinum lets you fully customize the brushing you need, which means that you can choose from nine different experiences depending on your needs. Paired with the Adaptive Clean brushing head, which is shaped to contour seamlessly around your teeth and gums, you’re in for a complete brushing experience. I recommend going for the Flex Care Platinum if you’re experienced with electric toothbrushes and you’re looking for one that is highly customizable. This toothbrush can go for three weeks on a single charge, which makes it a great choice for travelers. One small disadvantage to the Flex Care Platinum is that the handle is slippery, so you may need to buy a rubber grip for it yourself. It’s also a lot more expensive than most of the entries on this list. Before you make the decision to buy this product, I recommend you make sure you’re ready to commit to taking care of it and understanding how it works so you can get the most out of it. Keep whitening your teeth simple with the HealthyWhite+. This minimalist electric toothbrush helps save space on your bathroom countertop with its small charger and sleek build. It may specialize in whitening your teeth, but it also has a Clean mode you can use for everyday cleaning. The White and Clean modes, paired with three intensity levels, give you six different settings to choose from based on what you need. 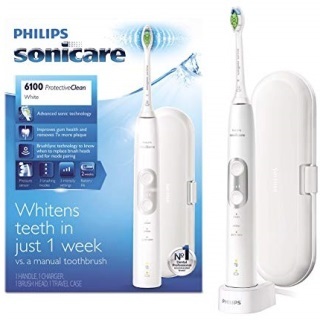 The best whitening brush head from Philips Sonicare, the Diamond Clean, comes with the toothbrush to help get the job done. It has medium-stiffness bristles shaped like diamonds that effectively brush off dirt and plaque. The White mode works by removing everyday stains you may build up from smoking, and/or drinking coffee, tea, or wine. The product claims to be able to whiten teeth by two shades in just one week. Ultimately, I recommend this toothbrush for anyone who wants to take a long-term and professional approach to both caring and whitening their teeth. A few disadvantages to owning a HealthyWhite+ is how hard it is to keep a strong grip on it while brushing, and how the travel case does not seem to close well. The 3 Series doesn’t just promise to give your teeth a thorough clean. It also promises to work wonders on your gums too. If you take a close look at the brush head, you’ll notice that it has a uniquely cupped shape. This is designed to deliver a gentle yet effective brushing experience along your teeth and gums. I recommend the 3 Series electric toothbrush for anyone who wants a model that can give all-around cleaning. The product promises to remove plaque twice as much as a manual toothbrush, and I can personally testify that it does a good job of removing foreign substances even from areas that are difficult to reach. You have full control over the Series 3. Choose from three different intensity settings so you can brush comfortably. You won’t need to worry about a slippery grip, which is a common complaint in Philips Sonicare electric toothbrushes. The Series 3 has a good design and grip to make brushing a comfortable experience not just for your teeth, but for your hands as well. 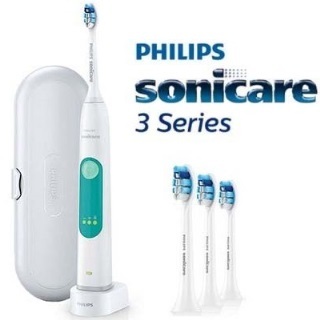 This electric toothbrush is a modest product line from the Philips Sonicare, and is good at striking a balance for complete oral hygiene. Here’s another simple yet effective electric toothbrush to be featured in the list. 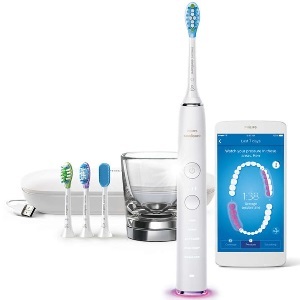 Sonicare’s 2 Series Plaque Control has a few staples of the brand’s electric toothbrushes, like built-in Sonic Technology, the Smartimer, and the EasyStart feature. It’s also safe to use despite any dental work or on any dental enhancements you may have, such as braces, crowns, implants, veneers, and more. It’s lightweight and can be handled easily because it has a comfortable rubber handle. I noticed that it is easier to keep this toothbrush clean compared to the others on this list because it doesn’t have as many nooks and crannies that can become growth spaces for molds. The Series 2 can go for two weeks after a full charge, and has a two-color battery indicator that lets you know when it’s time to plug it back in. I appreciated how the charger that came with the electric toothbrush was small and didn’t take up much space on the bathroom countertop. The brush head is a bit small compared to manual toothbrushes, and it is louder and vibrates more than most. However, these are small tradeoffs that are remedied by its superior cleaning capabilities, strong grip, and solid performance. We all know how much of a struggle it is to stick to a consistent brushing routine. Imagine what it’s like to have to teach kids to stick to it as well. 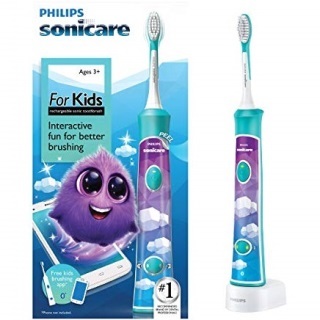 Thankfully, Sonicare came up with a Kids’ Bluetooth Connected electric toothbrush line of products, aimed specifically towards teaching children how to brush and to enjoy brushing. The main selling point of this electric toothbrush is that it comes with an interactive app for children. With the model’s bluetooth technology, it can connect to the app and access several educational games that make brushing a fun learning experience. Sparky, the app’s brushing coach, guides the user through a series of quick tips before each session and is also a visual guide for brushing teeth evenly across all four quadrants of their mouth. 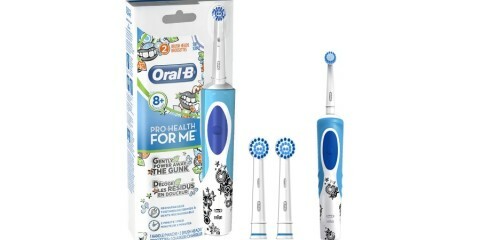 Also, this toothbrush comes with a set of stickers that children can use to personalize their toothbrush and make it a serious part of their daily routine. Parents can benefit from investing in an electric toothbrush that can track their children’s brushing sessions and duration. This helps to monitor their performance and set goals for dental hygiene. Take note that you may have to check if your mobile app store supports the interactive app. 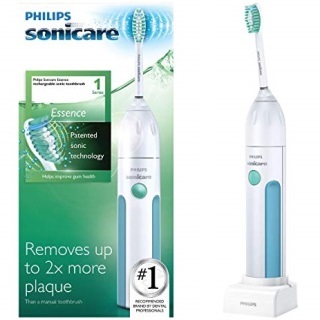 Remember Philips Sonicare’s Essence model? That electric toothbrush was a classic, and was well-loved for the stellar brushing experience it gave for its time. To keep up with the times, however, Sonicare had to come up with a new model that incorporated the latest brushing technologies—and this is when the Essence+ was born. It’s successfully built on all the advantages of owning the original Essence, but also comes with the latest Sonicare technology. It also comes with a Smartimer, which helps you make sure you’re brushing your teeth for at least two minutes. This is the universal recommended brushing time by dentists. Next, it has an EasyStart feature which tones down the product’s power levels for the first fourteen days so you can get used to the experience of using an electric toothbrush. This is helpful for transitioning from a manual toothbrush. The Essence+ can last for ten days in between charges. 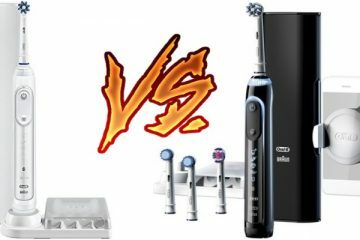 It’s not as long as the other products in this list, but it’s still the model I would recommend anyone who is transitioning from a manual toothbrush to consider. It’s got the right mix of all the important features at an affordable price, and the learning curve for it isn’t steep. The EasyClean is the toothbrush I would recommend for those looking for a straightforward and simple cleaning experience. It has specially designed bristles that can remove plaque better than a manual toothbrush on your teeth and along the gum line. 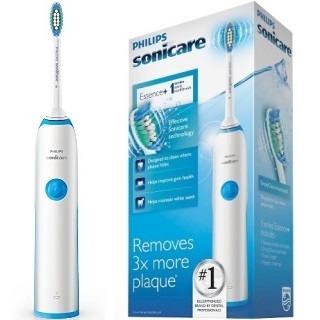 It comes equipped with the two signature Sonicare timers. There’s the Smartimer to make sure you brush for at least two minutes, for one. It also has the Quadpacer which splits those two minutes into four thirty-second segments for each quadrant of your mouth. Just watch out for the beep and pause in the brushing because that’s its signal to move to the next part of your mouth. Charging the EasyClean for 24 hours will give you roughly two weeks’ worth of brushing. You can easily keep track of battery because it has an indicator that blinks when it’s time for a recharge. The EasyStart feature lets you ease into the motions of an electric toothbrush by starting off at reduced power for the first few days and then gradually increasing afterwards. One of the downsides to this product is that it does not come with a carrying case of its own, so it may be difficult to bring it along for traveling. Sonicare has dedicated itself to researching and developing only the best technologies for toothbrushes. This is evident in all the extra features that their electric toothbrushes come equipped with. Regardless of what you want to work on, there’s bound to be a Sonicare toothbrush with the right features to get you started. Sonicare prides itself on releasing toothbrushes that can deliver an astounding 31,000 brush strokes per minute. That’s a little over five hundred brush strokes per second. The sheer speed and intensity of the brushes help ensure that every time you switch it on, you’re sure to finish with a completely clean mouth. Paired with the unique contour of the bristles, every product cares for your teeth in a different way and makes brushing an enjoyable experience. Do you need something that will help you whiten your teeth, care for your gums, or simply provide a thorough clean on a regular basis? Look no further because the Sonicare has it all. When you order a Sonicare electric toothbrush, they’re bound to come with a brush head of their own. However, you can always choose to order different brush heads. Panasonic brush heads are compatible with nearly all the models. Complement the wide variety of brush heads you can go for with the variety of modes they’ve installed onto their toothbrushes. Apart from cleaning, whitening, and gum care, there are modes that offer quick touch-ups for when you’re on the go and even a mode that lets you massage your gums. The option of having more modes allows Sonicare toothbrushes to be more versatile and offer tailor-made brushing solutions to their customers. As I mentioned earlier, the brush head on Sonicare toothbrushes come with unique contours and bristle shapes. It works with your brushing preference, regardless if you have it on low intensity or if you have it on a different brushing mode, to consistently remove plaque at least twice as better as a manual toothbrush. With little to no effort on your part, Sonicare’s electric toothbrushes are optimised to gently yet effectively remove stubborn stains to reveal the pearly whites hidden beneath. This is the result of several factors at work: the bristle design, brush head, mode, and intensity. Everyone knows how much of a hassle it is to thoroughly clean your teeth along the gum line. With a Sonicare toothbrush, however, you can rest assured that the brushes are programmed to get into even the most difficult areas in between teeth and along the gum line in a gentle manner. Even when you’re half-awake or when you’re mind is somewhere else, you can still be sure to get a good brushing if you have a Sonicare toothbrush as a companion. They come built with Smartimers, which make sure you brush for the recommended two minutes; the Quadpacer, which segments these two minutes into thirty seconds for each part of your mouth; and the pressure sensor to make sure you aren’t damaging the brush or your teeth by pressing too hard. These technologies are very helpful in monitoring the amount of time spent brushing, as studies show that the average American only brushes their teeth for 45 to 70 seconds per day. Even the electric toothbrush with the shortest battery life on this list can keep on going for ten days. The average amount of time for the toothbrushes on this list is two weeks, and towards the end of their charge they have their own indicators so you always know when it needs a quick top-up. Most of the Sonicare toothbrushes on the list come with travel bags and small chargers, which are a plus when you want an electric toothbrush that can travel with you. However, its strong suit lies in how versatile it can be. Your toothbrush is compatible with common worldwide voltages, between 100 to 240V AC and at either 50 or 60 Hz. Your toothbrush can be home to over one hundred million types of bacteria, including E. coli and staphylococci. That’s why Sonicare developed a UV Sanitization technology that can wipe out bacteria from brush heads in just under ten minutes. One of the strongest selling points of Sonicare toothbrushes is that they’ve developed an app to guide you through your oral health and wellbeing. It’s a prime example of how technology can have a positive impact on the lives of our children. 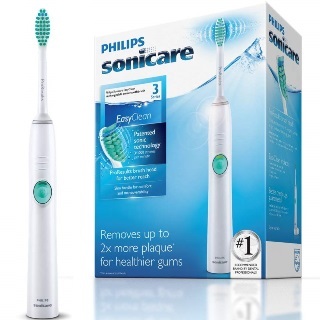 As of writing, the Philips Sonicare For Kids app on the Google Play Store has a 3.5 over 5 rating from 2,281 votes. I’ve heard of people who went straight to brushing their teeth without wetting the bristles. However, I would recommend getting the bristles wet for an electric toothbrush so that it can foam well and improve the texture of your brush. It’s also an additional safety measure I recommend taking just to make sure, since you never know what your toothbrush has been exposed to before you use it. Like me, you’ve probably grown up watching commercials where people squeeze a nice length of toothpaste all across their toothbrush before brushing away. That is far too much toothpaste than is necessary. A pea-sized amount is more than enough to freshen your mouth and facilitate the work of your toothbrush. If you put more than that, brushing may become a messy experience. The 45-degree angle is important because it lets the bristles brush along both the surface of your teeth as well as the gum line. Only one in ten people are brushing their teeth correctly. If you don’t position your toothbrush well, then you can be leaving bits of debris and plaque in the corners of your teeth. It will then build up and cause dental problems if left untreated. It’s only after you’ve gone through the past few steps that you can turn on your electric toothbrush. From here, make sure you are mindful of where you’ve positioned your toothbrush, especially considering how most Sonicare toothbrushes come with timers and you may end up spending too little or too much time with this activity. Remember to only apply a light amount of pressure and let the toothbrush do all the work for you. Carefully go over each tooth’s front, gum line, back, and biting surfaces. If you have a QuadPacer function installed on your toothbrush, then make sure to get each tooth in each quadrant within the allotted thirty seconds. Time to finish up your brushing routine by spitting out and rinsing off the remaining toothpaste in your mouth. Keep in mind that this step is a matter of personal preference, as there is a debate on whether rinsing or just spitting is better. Make sure to rinse off your toothbrush properly and dry it off. If you have a Sonicare UV Sanitizer, it pays to use it every once a week or so to prevent the buildup of harmful bacteria. It’s best that you give your electric toothbrush a thorough cleaning once a week. To do this, you need to take off the brush head and rinse the bottom with warm water. Follow with rinsing the entire metal shaft area with warm water, and then finish with wiping it down with a damp cloth. After day to day use, it’s just a matter of rinsing the brush head and its bristles to remove any toothpaste and particles that may have gotten stuck, and then wiping the toothbrush down with a damp cloth. 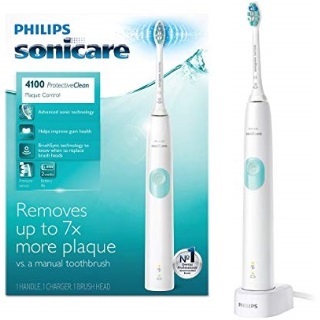 If you’re particular about the bacteria that can accumulate on your toothbrush, I highly recommend ordering a Philips Sonicare UV Brush Head Sanitizer. It promises to remove 99% of bacteria gathered in your brush in just ten minutes. In 1987, an unlikely trio composed of David Giuliani, an entrepreneur with roots in electrical engineering, and Drs. David Engel as well as Roy Martin, professors at the University of Washington, gathered to form a company named GEMTech. A few years later, Sonicare was officially released as a toothbrush in November 1992. GEMTech changed its name to Optiva Corporation in 1995. A few years later, in October 2000, it was eventually acquired by Philips Domestic Appliances And Personal Care. After the acquisition, Optiva changed its name to Philips Oral Healthcare. 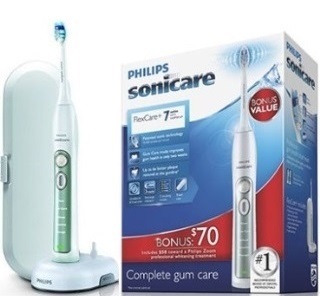 Throughout all this, by the end of the year 2001 Sonicare was the top-selling rechargeable toothbrush in the United States. After just three months of use, electric toothbrushes were shown to be better than manual toothbrushes because the former could reduce plaque by 21% and gingivitis by 11%. It’s also much more efficient to have an electric toothbrush do most of the cleaning motions for you. This is taking into consideration how the most common times of the day to brush your teeth are in the morning when you may be groggy after waking up and at night when you may be too tired to pay attention. 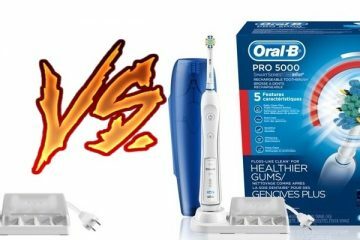 If you’ve never had an electric toothbrush before, I personally recommend trying one now from this list of the best Sonicare toothbrushes. They revolutionize the way you clean your teeth and are worth the investment. This brand has led the dental industry for several years, and if you want to change your brushing experience then this list is a good place to start. I hope this handy list of Sonicare toothbrush reviews will be useful in helping you decide on the best toothbrush that fits your personal needs and preferences.